It is evident that our movements are mapping transformational paths, shifting power and creating new models of work. 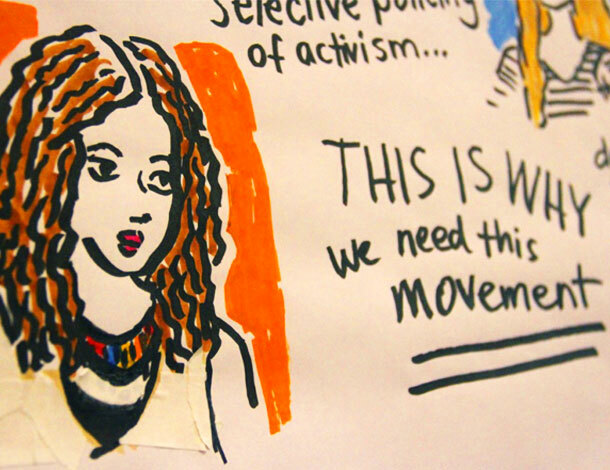 Indeed, movements are already creating, practicing and living feminist realities, but it is crucial that we go deeper in unpacking, documenting and reflecting on these. 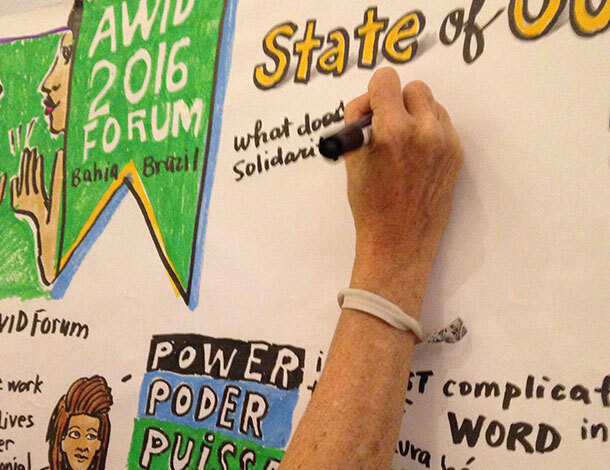 AWID has developed this animation with SeeHearDraw based on discussions sparked in the lead up to, and during the 2016 AWID Forum, on the State of Our Feminist Movements. With this video, we hope to advance these conversations across movements and propel us all forward as we pave our paths towards a more just feminist future. The conversations sparked by this animation are just a beginning! Collective strategizing on feminist realities is next!